MY INSPIRATIONS for tidbits about World War II rationing came from several sources. Reading a social history gave “Eating Brit-Style, the 1940s,” an Anglo flavor of WWII culinary matters. And a recent “Radio Classics” episode of Lum and Abner (remember them?) 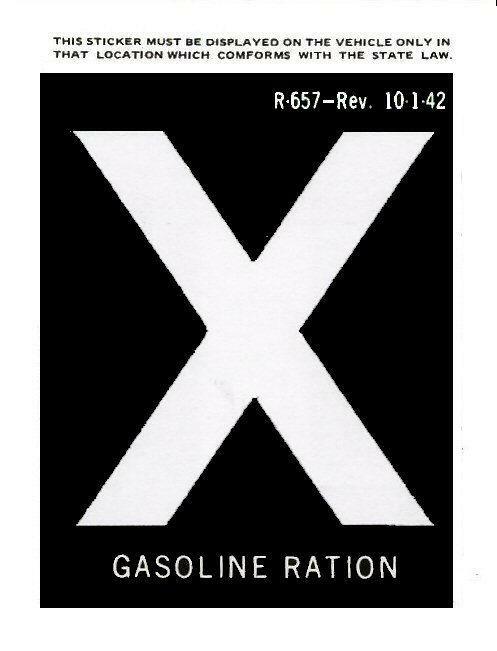 prompted me to learn more about gasoline rationing here in the U.S. Indeed, I learned enough to warrant Part 1 today and Part 2 tomorrow. Tires, Not Gas. Except for a brief period in early 1944, U.S. gasoline wasn’t the problem. Tires were. Japan’s invasion of the Dutch East Indies in March 1942 curtailed U.S. supplies of natural rubber. (See “Henry Ford’s Amazon Adventure” here at SimanaitisSays for another potential source of natural rubber that didn’t work out.) In 1940, B.F. Goodrich had developed Ameripol, a synthetic rubber, but commercialization came slowly. 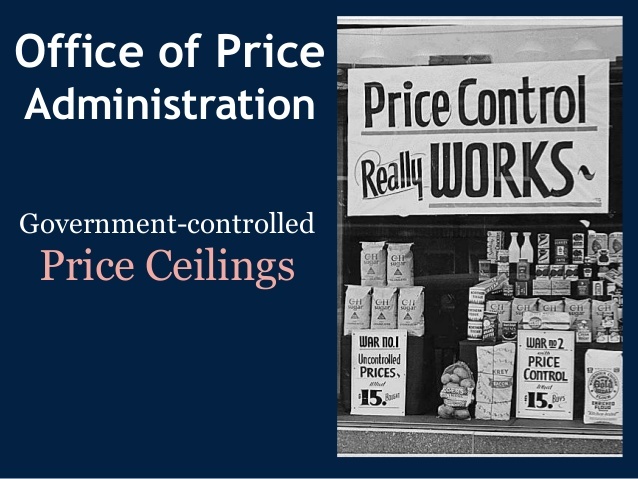 The U.S. government’s Office of Price Administration, the OPA, was in charge. Owners had a limit of five tires per vehicle; any extras were taken into government supplies. Mileage restrictions were under consideration for conserving tire wear, but a more feasible means was limiting the gasoline supply. 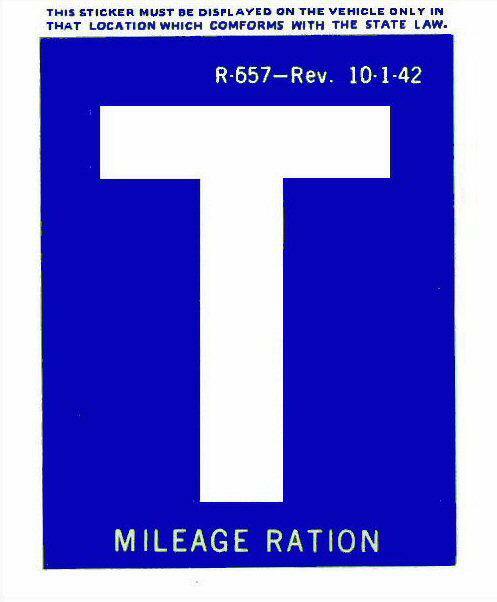 Beginning on July 22, 1942, 17 eastern states invoked rationing programs. Despite findings of the September 1942 Baruch Rubber Report, Congress stalled on nationwide action. 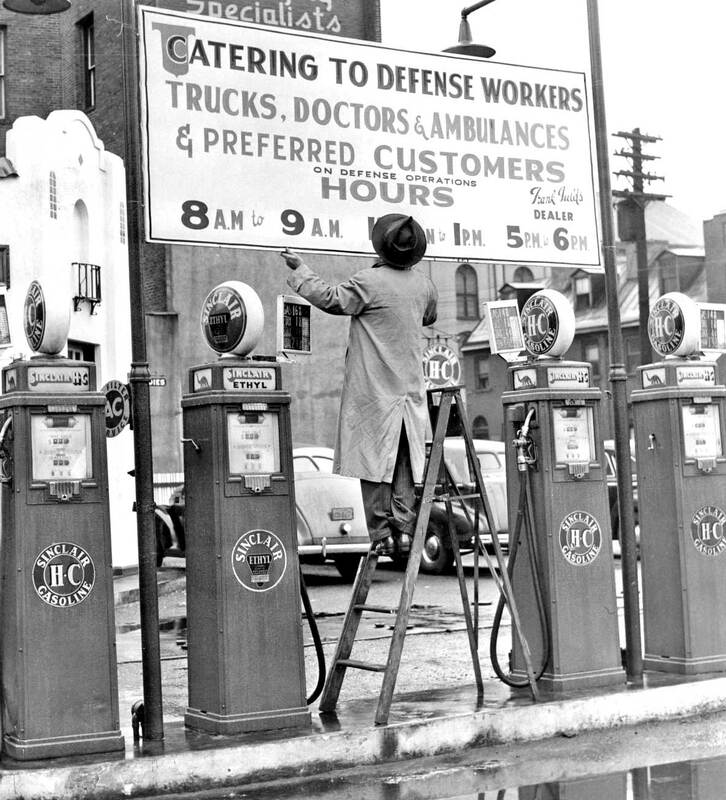 President Franklin Delano Roosevelt disagreed, and national rationing of gasoline began on December 1, 1942, to continue for the duration of the war. 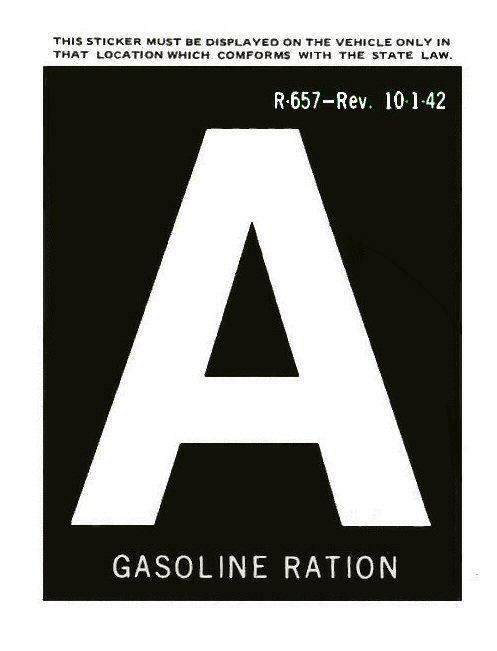 Gasoline rationing was a complex program reflecting driving needs; alas, though, not without skullduggery. There were six basic categories: A, B, C, M, T, and X. Qualification for one or the other depended upon local boards, the idea being these folks could best and fairly assess individual driving needs. The Categories. 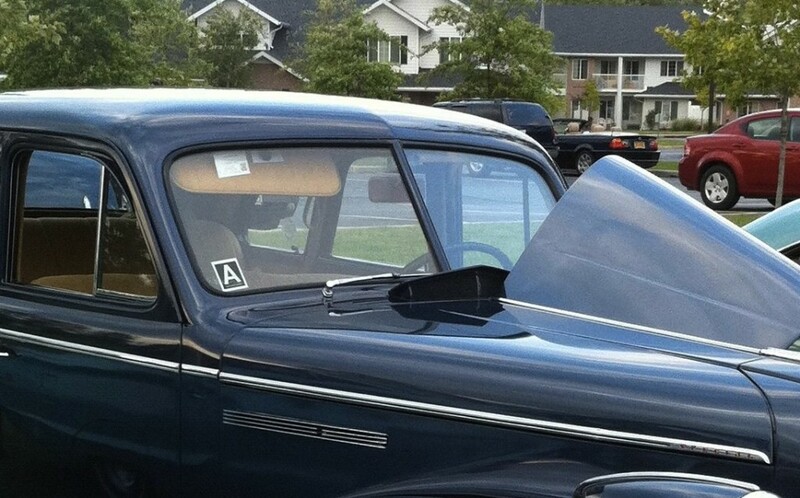 Any driver qualified for an A, which soon gave OPA the nickname “Only a Puny A.” Cars carrying A stickers got stamps for 3-4 gallons of gasoline per week. Given that the average car of the era got 15 mpg, this implied a weekly 45 to 60 miles of war-related or family-convenience motoring. 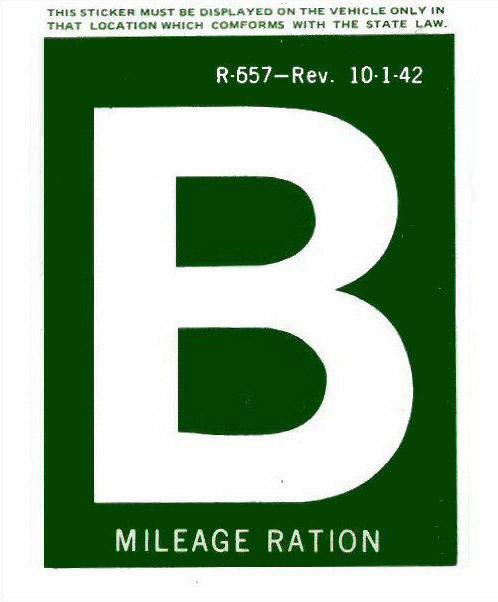 B stickers and stamps were for those with more pressing needs, or perhaps just more persuasive powers with their local rationing boards. Maybe the aircraft plant was farther from home. Maybe sharing rides took them out of their way. These cars got eight gallons per week. 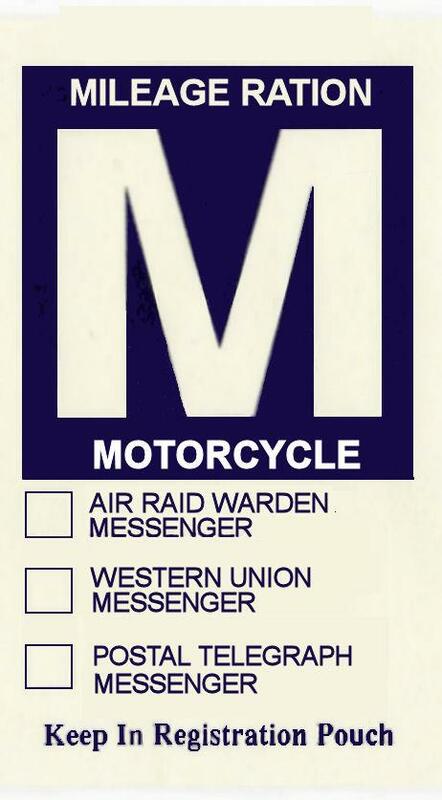 The C category, the first of several with no gallon restrictions, was intended for those performing specific services deemed critical to the war effort. There were 17 occupations identified on the car’s sticker, ranging from “Official Gov’t or Red Cross business” to “Transportation 4 or more to school” to “Essential hospital, utility, or war worker” to “Minister, Priest, or Rabbi,” and others. Curiously, at war’s end, folks were scraping C stickers off their cars, not wishing to parade their livelihoods. T, also with no limit, was for truck drivers. The assumption in those days was that all trucks were used commercially. How times have changed. X, likewise with no limit, was for those whose jobs inherently involved high mileage, traveling salesmen and the like. This coveted catchall also included police, firemen, and civil defense workers. Are you surprised that a scandal erupted when 200 Congressmen received X stickers? Image from The Old Motor. When WWII broke out, I was in the 5th grade. There was a cyclone fence that ran along the back of the school yard to separate us from the alley. One day, at recess, I saw a B ration book laying under the fence. There was no id, so I had no way of returning. It. So, being a good catholic boy, instead of turning it in to the nuns, I took it home and gave it to my Dad. So, for the length of time that the book was good for, we enjoyed an extra 8 gallons of gas per week. 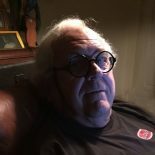 This entry was posted on August 4, 2018 by simanaitissays in And Furthermore..., Classic Bits and tagged gas rationing: A B C M T X stickers and stamps, OPA = U.S. Office of Price Administration, SiriusXM Radio Classics, WWII tire restriction: 5 per vehicle, WWII U.S. gasoline rationing.